Elizabeth M Jacob: Eco Friendly Friday is here! I am so excited to start my new weekly post....Eco Friendly Friday. As you know, eating healthy and organic play a very important part in my life. But taking care of our environment is just as important to me, especially now that I have children who will be the future of this land. For this weekly post I will talk about whatever is on my mind, but it will revolve around being eco friendly. Since I love kids fashion, style for mamas, etsy finds, home decor and more I will try and include these into the eco friendly theme. 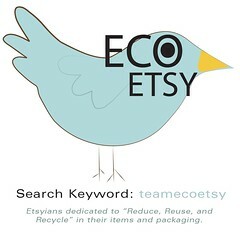 I am a proud member of the Team Eco Etsy and will feature many of my fabulous team members and their work during these posts. "As a global team of eco-minded etsy sellers, our mission is dedicated to protecting our planet by utilizing methods to reduce carbon footprints in managing our businesses and leading our personal lives in the most eco-friendly manner. We are just as determined to use recycled materials in our creations as we are about recycling packaging materials. We take the safety of the environment in mind in the way that we manage our businesses and create our items. 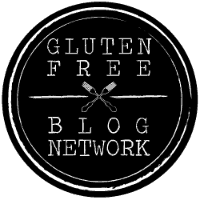 We strive to grow as a team that focuses on promoting eco-living in our personal lives as well as in our businesses, and educating others about the importance of being environmentally responsible." I'm looking forward to sharing my eco-friendly finds and thoughts with you and hope you enjoy them. Please let me know if you have any suggestions...I would love to hear them! This is a great start, I love your idea for the eco-friendly friday features! I love how you introduced the team before you started featuring artists. It gives people a backround of why you're doing the eco-friendly fridays. Can't wait to see more!